Sticking to your exercise schedule can be difficult – we’ve all been through it. Especially when the weather gets uncomfortably warm and you feel sapped of energy, or it’s so cold you don’t want to bother leaving the warmth of your sofa after work. The solution to this is to engage yourself with an activity that requires effort; but beats the sometimes-drudgery of lifting weights or running the treadmill every day. There’s no shortage of such activities; but we’ll get you off to a good start with the following options. There are all types of dance styles out there these days – and instructors for every single one. If you were a cheerleader or did ballet in high-school, then dance might suit you better than you think. The common thing will be to dress the part and Just for Kix has precisely the large selection that you’d need in order to reinvent yourself. There’s hip-hop dance apparel, sequined outfits, leggings and many more – for youths on up to adults. If you’re in for more vigorous fare, try swing dancing. It’s guaranteed that you’ll be pouring rivers of sweats in less than 15 minutes with your dance partner. This one is all the rage these days, with classes in Brazilian Jiu-Jitsu, Tae Kwon Do, Karate and Muay Thai seeing record numbers of enrollees. Chalk it up to the popularity of the UFC and other fighting organizations. If you drive around any medium-sized city, you’ll probably even see UFC gyms sharing a space in a mall complex. If you have even the slightest bit of intrigue regarding the fighting game, sign up for a class and watch the pounds melt away in weeks. This could double as preparation for a hike in an exotic location. Take a rock-climbing class to learn what it feels like to use your entire body all at once for minutes on end. 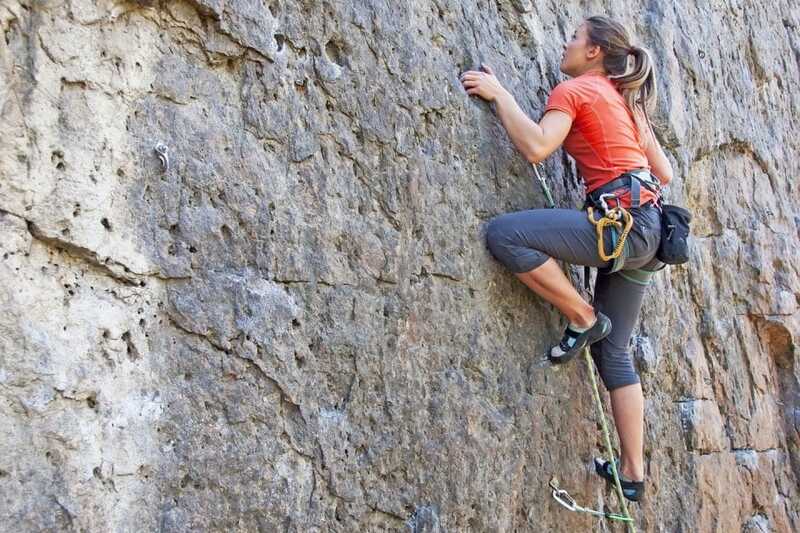 There’s a reason why avid rock-climbers look like a mix between long distance runners and bodybuilders. As for finding a place to do it – many regular gyms have a wall that can be scaled, along with a resident in-house expert to teach you. You will build up your arms magnificently – for women, that elusive toned look will form naturally, and for men, you’ll build a bit and define what’s already there because of the heavier body weight. You’ll also learn all about the required gear, safety tips, and slowly gain the confidence needed to crawl vertically in defiance of gravity. There are few single exercises that give you a comprehensive workout better than swimming. In fact, even if you don’t actually swim and get in a pool to tread water, the resistance is still giving you a workout. Vigorous walking and paddling around an olympic-sized swimming pool is worth its weight in gold insofar as a cardiovascular activity is concerned. Another invaluable aspect of exercising in water is how easy it is on your joints and tendons. Find a gym near you and use the swimming pool 3-5 days a week to start seeing benefits within a month. Who knows? Perhaps you’ll even learn to swim and thus, have more fun at the beach when summer arrives. Although to the uninitiated, yoga looks like one of the more peaceful forms of exercise – it is – it can definitely make you work up a sweat. All the contortions and mental stimulation lets your body reap rewards you would never have imagined are waiting to be plundered. Get yourself a good yoga mat, look online for poses to practice, or join a local class for more inspiration. There are, of course, many more activities – with the operative word here being active – that you can enjoy doing while also getting in shape. You’ll see the benefits in all facets of your life; the sooner, the better.